Healthy Hair Doesn't Mean Long Hair or Does It? 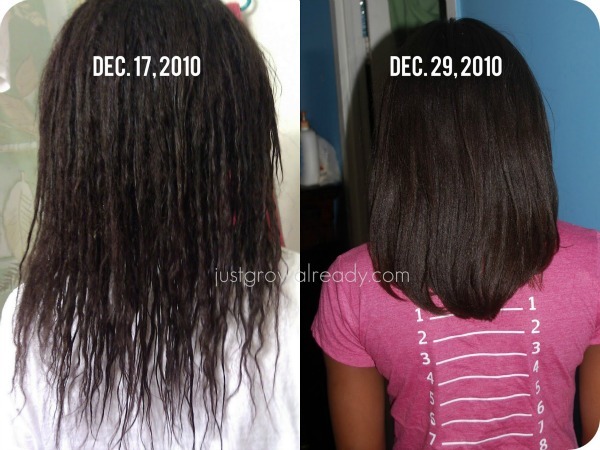 First let me start off by saying that long hair doesn’t always equal healthy hair. If your hair is thinned out and filled with splits regardless of its length it is not healthy. In fact, I find that there’s nothing worse than someone hanging on to some beat up strands for the sake of length. It’s almost like when men sport stadium cuts and try to swoop the little hair they have left over their receding hair line. It’s not cute. Let it go! Admittedly, I used to be one of those women who would rather cling to lifeless tresses but now if my hair needed it, I would cut my hair in a heartbeat. The ends of your hair. Are they dried out or filled with splits? Do you have any curl pattern loss? It’s ability to hold up to manipulation (strength). 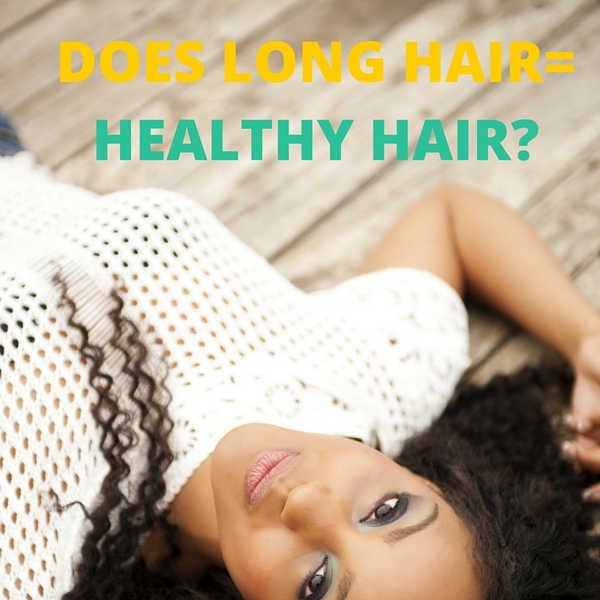 Your hair length alone would never be a basis for health. Now if your hair is long and you are good on all of the above mentioned factors, of course your hair is healthy. Long hair that is in good condition, is a testament to healthy hair practices. Especially if you are a woman with a hair type on the more fragile side of things it is a sign that you are definitely doing something right. Your hair is not a living fiber. It should be regarded as a delicate material. Once the ends of your hair break, they do not just regenerate (although it would be cool if hair could). After breakage occurs you must wait for new hair to grow from the root. Photo taken from justgrowalready.com as an example. I think most of us would agree that the right side of the photo is an example of healthy hair even the the left side is longer. Thoughts? What do you consider healthy hair? I have my guy trim my hair every other month to get the splits and keep the ends neat. I cut back on heating appliances, have my hair colored with henna, no toxic box or salon color to destroy my hair, and I spritz on the essential oils after every shower. I use sulfate free shampoo as well. My hair has gotten longer, looks shiny and feels soft and silky. I have been salon free for a few years now, while some may call it crazy, my hair has never looked better.. Good hair care practices do make a difference. I seem to losing my battle with my hair. I keep getting it cut but the ends just want to keep splitting no matter what I do. Been natural since 2009 and tried all kinds of techniques. Tree splits, incomplete splits, regular split ends, and millions of fairy knots which I have noticed are also damaged ends because it is somehow another split end that caused it to knot up. I’m just about done with this journey. Anitra I am sorry you are experiencing these problems with your natural hair. I have low density, thin, fine hair and I’m almost ready to give it up also.